Sometimes you make mistakes. Sometimes, you have to admit when you’ve simply been wrong. Now don’t get too excited– this isn’t some juicy confession. I’m talking about my misguided idea that potatoes should be avoided. That they aren’t “good for you.” I ate them sparingly for years, but then it occured to me, they’re a whole food. Nature makes them all on it’s own. Come on! They’re potatoes. Why did I think this was a bad thing? Yes, they’re a carbohydrate, but I’m cool with that. I need carbs in this body. They give me energy. I know I shouldn’t go crazy and pile starches onto my plate every meal, but, the same can be said about almost every food. Well, maybe not broccoli…or kale…but you get the point. I’m glad I’ve rediscovered my love of potatoes. I’ve probably mentioned here in the past that my Mom has always had an amazing garden. When I was a little girl, we lived on a farm where there was plenty of space for her to grow almost anything. Even so, rather than restrict them to the garden, the potatoes had a special HUGE section in a field near the house. My grandparents would come over and we’d have potato-planting parties out in that field. True story. My favorite part was when, after a few months, we’d all head back out to the field and dig ’em up. I can still see my Dad, with the salt shaker that he’d bring out into the field (seriously), shining up a few potatoes to crunch-away on while we dug. 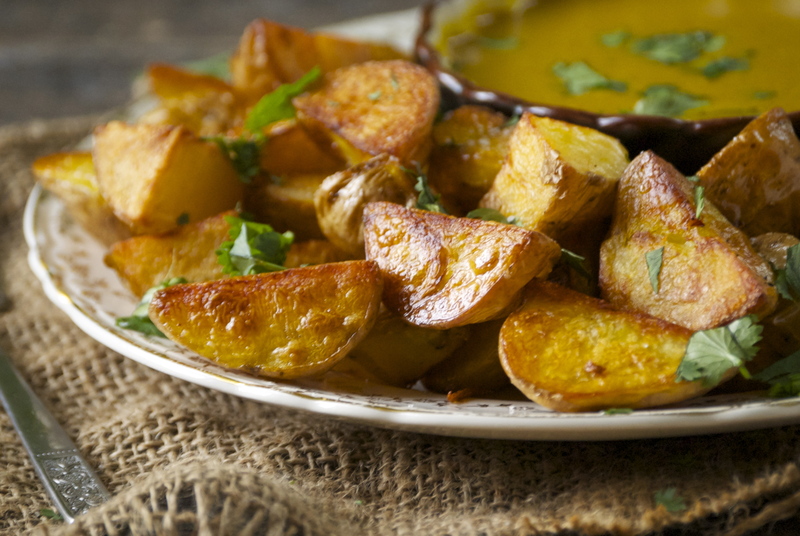 Crispy roasted potatoes are amazing. Here I’ve paired them with a delicious coconut curry dipping sauce. The most important thing to keep in mind when making roasted potatoes is that you simply can’t cut them up and put them in the oven. You need to cook them a fair amount beforehand. Some people choose to boil them slightly, I always steam my potatoes. I find that they don’t get saturated and fall apart this way. It also keeps them from losing some of their nutrients. For convenience, you can steam up a big batch of potatoes in the beginning of the week and leave them sit in your fridge– that way they’re ready to use whenever you need them. You’d be surprised how many ways you can find to use them. The curry sauce here is delicious. It’s simple and not overly fancy. You should have most of these ingredients on hand already. 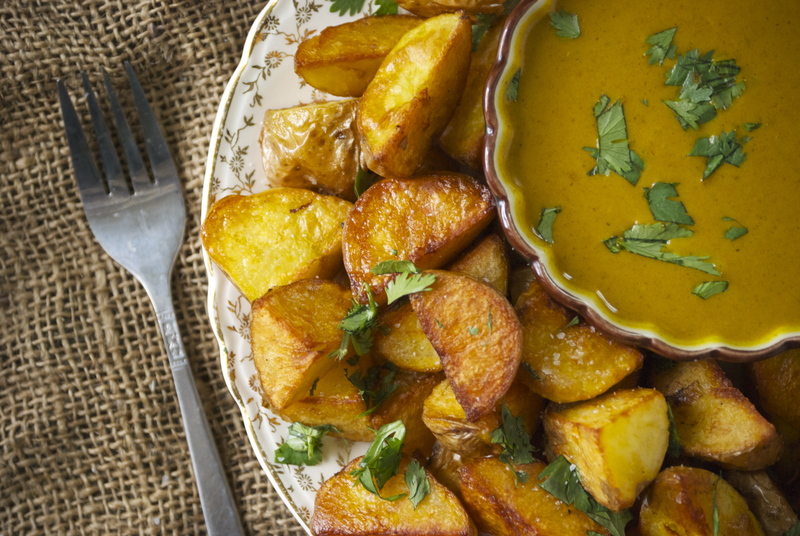 With the crispy potatoes, it makes a brilliant combination. I hope you give these a try! In a large sauce pan, place a steamer basket (or you can choose to simply boil them) and fill with the potatoes and a bit of water. Cover with a tight fitting lid and steam until the potatoes are tender when tested. I steam my small potatoes whole, but if you only have large ones– just cut them up before steaming. Make sure to not over-steam them, as they will fall apart. I’m not going to give an exact time, as it will depend upon the size of your potato. It’s best to just test them. When they feel as if they’re nearly done. Remove from heat and let them sit covered for a few minutes to finish cooking and then let cool. At this point you can either put them in the refrigerator to use at a later time, or continue with the recipe. Preheat the oven to 450°F. Quarter the potatoes and place on a large baking sheet that has been coated with a thin layer of olive oil. Drizzle a bit more olive oil on top of them and toss. Sprinkle with salt and pepper. Keep in mind that potatoes tend to need a lot of salt. Don’t be too shy. Roast for about 15 minutes, then carefully flip the potatoes. Yes, I do this individually, because I really enjoy crispy potatoes and I want all the sides to be properly golden browned. It doesn’t take that long. Roast for another 15 minutes. Give another toss and test them. Roast longer if necessary (again, much will depend upon how big your potatoes were cut). Mine are usually done after 30 minutes. Taste. re-season, if necessary. While your potatoes are roasting, begin the curry. In a medium-sized skillet, heat 2 tablespoons of olive oil. Add the onion, garlic, and ginger and sauté for a couple of minutes until somewhat tender. Add the curry powder, turmeric, and garam masala and toast for abut 30 seconds. Add the chicken broth (sans 1 tablespoon), tomato paste and coconut milk and a pinch of sugar. Whisk together until smooth. Cook over medium heat for about 10-15 minutes, stirring frequently. Taste as you go, add more salt or sugar, if necessary. 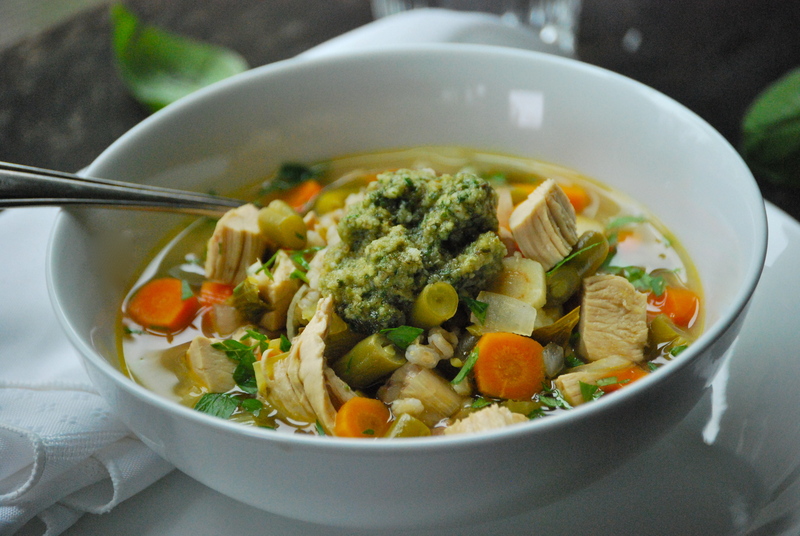 In a small bowl, mix 1 tablespoon cornstarch with 1 tablespoon chicken broth until it’s smooth. Whisk mixture into the skillet and cook for about another 10 minutes until the mixture is somewhat thickened. Reseason, if necessary. 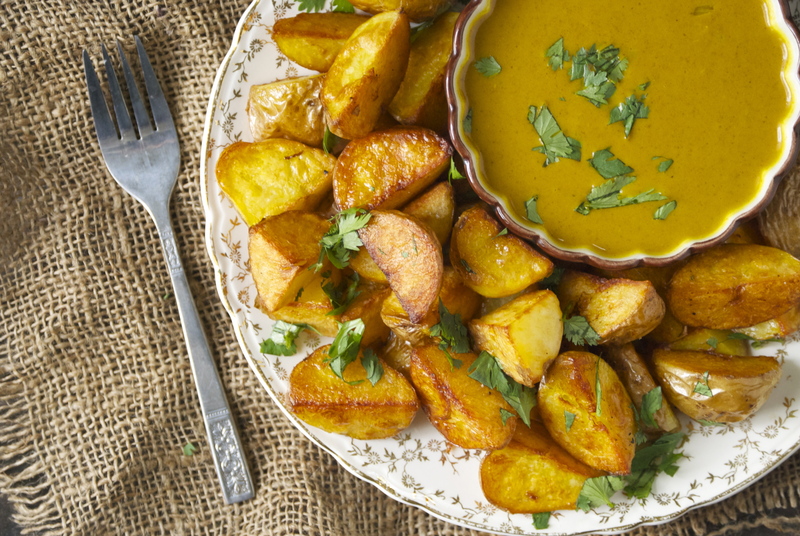 Immediately sprinkle chopped cilantro on the hot, crispy potatoes when removed from the oven and serve along side the curry sauce. The potatoes are best eaten immediately. Enjoy! Last week was a busy one. 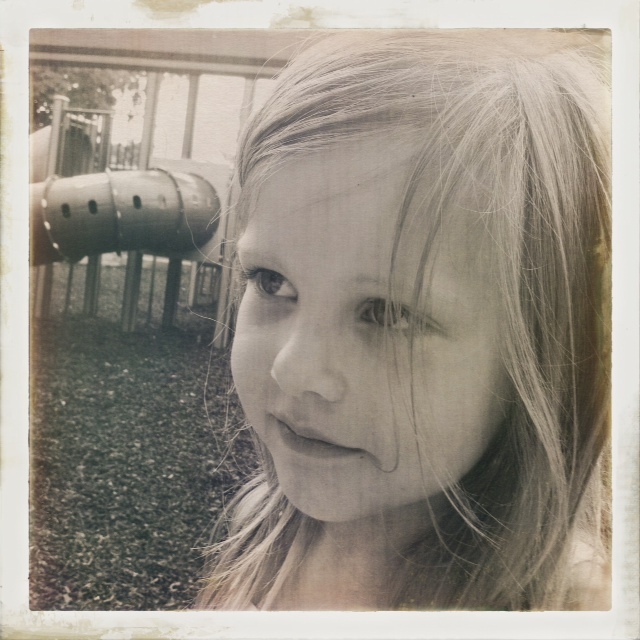 Along with the excitement of Halloween and indulging in far too much candy, our precious girl turned five! You add so much happiness and joy to our lives, Aria. We love you so much– Happy birthday! You already have a nice stockpile of frozen red peppers to get you through the winter, right? No? Well it’s time to get on that. I figure that here in Minnestota you can still get one, maybe two last visits in to the farmers market to stock up. 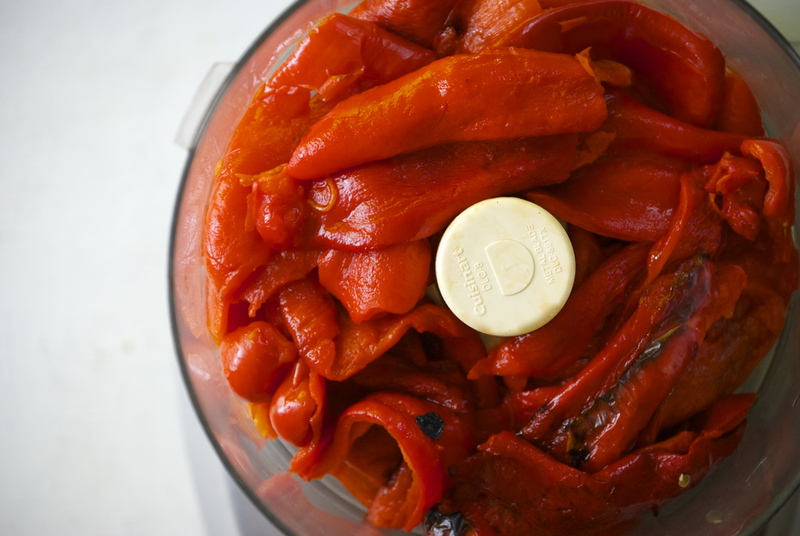 If you come across a box or two of red peppers–buy them! You’ll be happy you did. 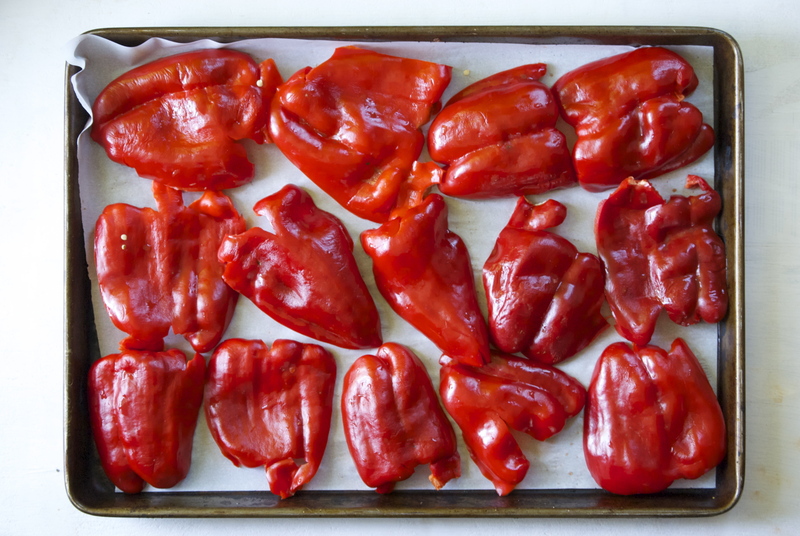 Now here’s what I want you to do with those peppers: broil them in the oven for just a few minutes until they are nice and black, then throw them in a large plastic resealable bag. The trick here is that the steam in the bag will loosen the blackened skin. When they’ve cooled a bit, slip off the skin with your fingers. Next, put the peppers in a food processor, or chop with a knife. Finally, place your chopped peppers in a plastic freezer bag, or vaccum seal it and freeze it. Now you’re set. 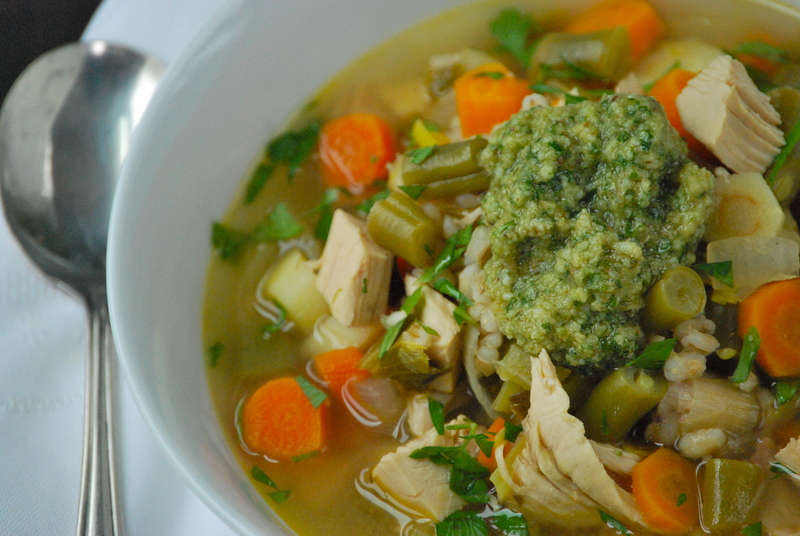 Whenever you want to make this incredible soup this winter, you can do so in about 20 minutes. How’s that for a quick dinner plan? 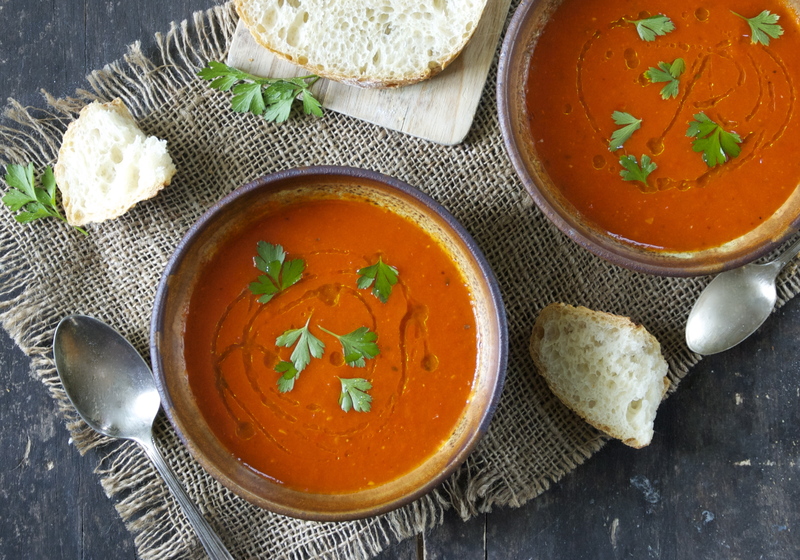 This roasted red pepper soup is one of my favorites. It has a silky texture and amazing flavor. Drizzle a little olive oil on top, and serve it with a piece of crusty homemade bread. 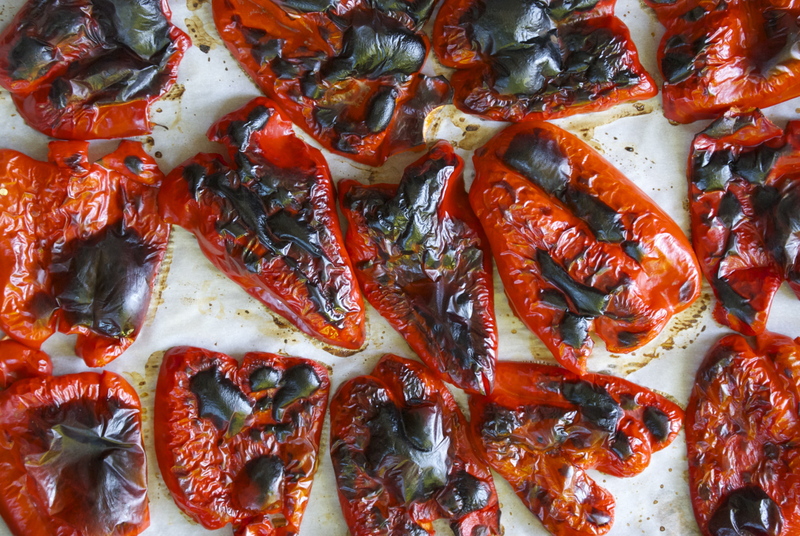 Of course, you can do so many other things with those roasted peppers, as well. 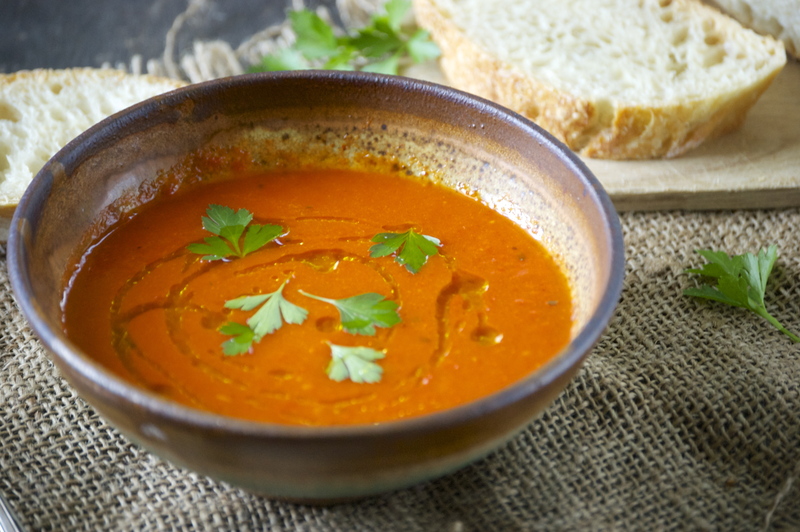 You can make roasted red pepper hummus, or throw them in your favorite pasta dish. Really, the possibilities are endless. Just get them now and freeze those babies! To Prepare the Red Peppers: Place oven rack close to the broiler unit. Line a large baking sheet with parchment paper. Cut the peppers in half and remove the insides. Place peppers on baking sheet and press down with your hand to flatten them. Place under broiler and broil them for about 15 minutes, or until they are very black. You will need to move the pan around and perhaps even rotate some of the peppers using tongs. Keep a close eye on them. Once they are done, remove from the pan and immediately place in a large resealable plastic bag. The steam will loosen the black skin. After 10 – 15 minutes or so, remove from the bag and slip the skin off using your fingers. It should come off easily. Discard the blackened portion. Chop the peppers in a food procesor or by hand. 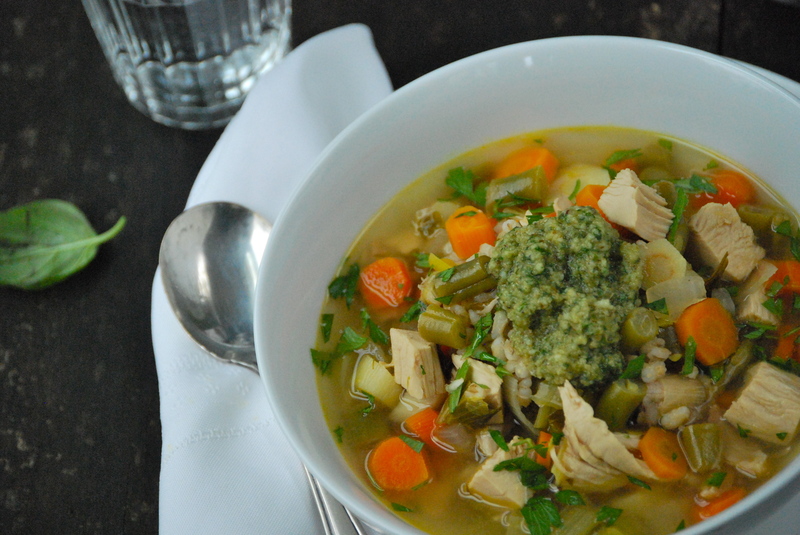 To Make the Soup: In a Dutch oven, heat about 3 tablespoons of olive oil at medium/high heat. Add the chopped onions and garlic and a generous sprinkle of salt. Sauté for a couple of minutes until tender. Then add the peppers, chicken broth, oregano, thyme, anchovy, bay leaf, and salt and pepper to taste. Bring to a boil and then reduce to a simmer for about 15- 20 minutes. 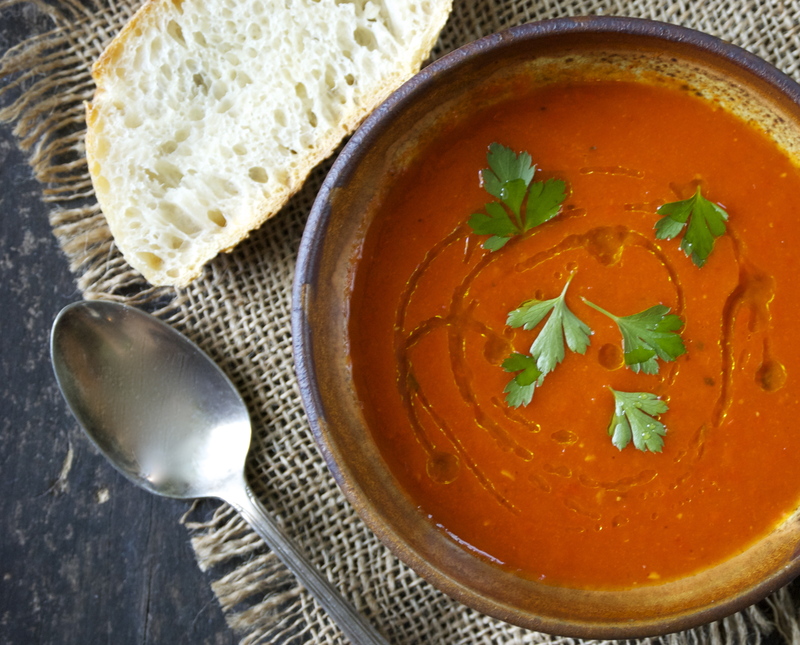 Remove bay leaf and purée with an immersion blender or carefully pour the soup into a stand blender. Blend until smooth. Taste and re-season with salt and pepper, as needed. 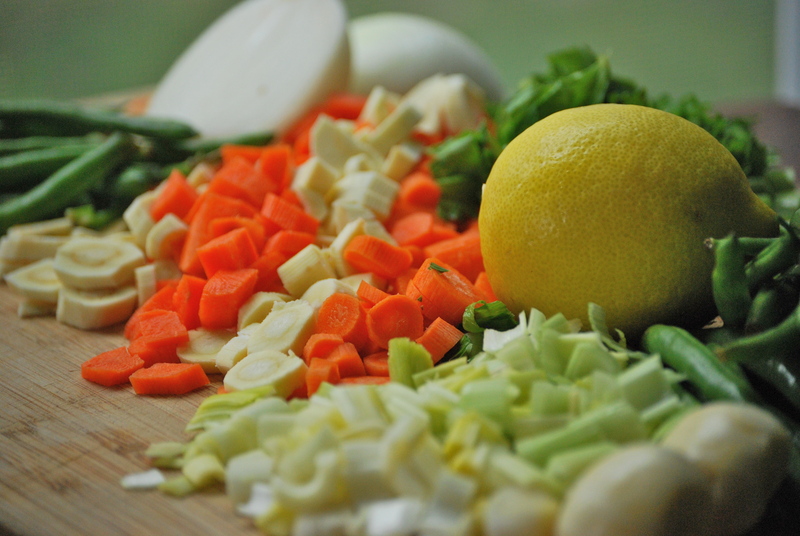 Since there are so few ingredients in this soup, the amount of salt plays a big role in bringing out the flavors– make sure to salt it properly. To serve, squeeze a bit of lemon to taste on the soup (also plays a big role), a drizzle of olive oil, and some fresh parsley. Enjoy!